The GPV-10 vertical CNC grinder features a compact footprint of 1 square meter to accommodate a range of production line layouts. The machine’s wide opening allows for easy loading and automation. 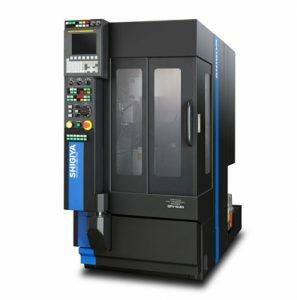 An innovative gate structure ensures precision grinding by counter measuring against vibration, thermal displacement and noise and ensures extreme precision after a cold start, and even during post-process grinding.